What's The Difference Between a Wedding Coordinator and a Planner? Waterside Events offers complimentary wedding coordinators. A soon-to-be bride will spend on average 250 hours planning their wedding, that’s a lot of googling, Instagram searches phone calls, food and wine tasting, wedding venue inspections, spread sheet building and credit card swiping. To the inexperienced bride, while you may have sanity, energy and excitement now, in order to make it to your wedding day without multiple breakdowns, you might want to consider hiring a wedding planner or wedding coordinator. Planner or Coordinator: What’s The Diff? Now, what exactly is the difference between a wedding planner and a wedding coordinator, you ask? Well, my friend, the key distinctions between the jobs are the length of time they help and the price you pay. While a wedding planner is with you from the beginning, assisting in all stages of planning and then taking on the coordination role on the big day. Planners will handle your budget, negotiate with vendors, do a large part of the research and provide design and styling services for several months leading up to the event. These positions will typically cost a little to a lot more than a wedding coordinator, as the length and scope of their duties span across all details no matter how large or small. A wedding coordinator’s service will last roughly on a month long basis and will focus logistically around your wedding day and the smooth running of the events. 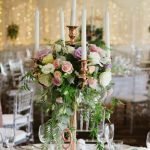 Essentially, they will analyse all the decisions you’ve made, tweak details, follow up loose ends and ensure everything will be fully functioning at the wedding venue and running to plan on the wedding day. It’s the job of the wedding coordinator to organise everything involved on the day of the event and ensure everyone is running on schedule so that you can relax and really have the day you’ve dreamed of. At Waterside Events, we allocate a wedding coordinator to every single wedding reception we host, so you don’t have to stress during your big day, and can relax and enjoy every moment. To book a consultation appointment or wedding venue site inspection with one of Waterside’s wonderful and experienced wedding coordinators, contact us today.